Browse steel-fasteners suppliers by country and region. Short on time? Let steel-fasteners sellers contact you. Description: Stainless Steel Banding & Buckle Kit Our most popular band and buckle in a convenient new package.Each kit contains just the right amount of band and buckles ready to take with you on the job. 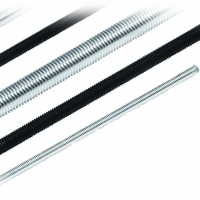 Stainless steel, stainless steel wire, bright bars, pipes, tubes, stainless steel barbecue rods, stainless steel skewers, stainless steel square rods, steel pipes, tubes, thatching screw. Nuts, bolts, clamps, threaded rod, threaded bar, all threaded rod, sag rod, tie rod, coil rod, channel spring nut, nut clamp, nail clamp, pipe clamp, U bolt, rod connector, long nut, nut, bolt, washer. 1. Physical properties: Low specific gravity, light weight, small thermal-expansion coefficient, nonmagnetic,high resistivity, low thermal conductivity. 2. Mechanical properties: Anti-high temperature, small metal fatigue (high fatigue strength), high toughness, high intensity. 3. Chemical properties: Corrosion resistance, creep resistance, oxidation resistance, nontoxicity, bacteria resistance. CDC specialized in manufacturing the fasteners and special parts made of titaniumalloy by the CNC machining. It is no need to use the mold and does not have restriction on the minimum order quantity that may reach various prototype patterns with a small quantity of multiple demands. And strict implementation of the ISO 9001 quality control is to provide with all the necessaries of engineering fasteners and components, and to conform to the excellent quality in accordance with JIS, ASTM, DIN standards. We manufacture mild steel and brass wire rod coils for manufacturing for screws nuts bolts etc.